Investors don’t typically run up against concepts like whanaungatanga and aroha during the due diligence process. But a just-launched partnership between an experienced Māori duo and JMI Wealth has included those two qualities among a raft of Te Reo terms under its unique – possibly world-first – investment strategy. Temuera Hall, co-founder of the Māori culture focused wealth management firm, Tahito, said the new ethical trans-Tasman shares portfolio was likely the first investment strategy in the world to be based on “indigenous values”. 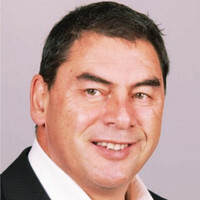 Hall said the Tahito portfolio, currently offered just to wholesale investors, only includes stocks that fit within traditional Māori values such as whanaungatanga (describing relational behaviours) and aroha, in the wider sense of ‘connectivity’ rather than the word’s common translation as ‘love’. “Māori see everything as inter-related,” he said. For example, Hall said Māori cultural values make a strong connection between people and the environment. “Lack of connection is behind many problems from loneliness to climate change,” he said. However, translating those Māori values into a basket of Australian and NZ shares was no simple task. Hall and Tahito co-founder, Chris Winitana, developed a set of rules to frame the process with the former acting as “investment values architect” and the latter as “cultural values architect”. Hall said Tahito starts with a negative-screen that knocks out firms that clearly breach Māori values – as measured on eight factors. “That means anything which has a negative effect on the environment gets excluded such as mining and fossil fuel stocks,” he said. “By default that means the portfolio has a low carbon footprint. Tahito also applies a positive screen on the potential investment universe to identify firms aligned with its values. The positive screening gives weight to NZ energy companies like Meridian, which have a strong renewable base. At the same time, Tahito still targets quality firms with JMI Wealth providing investment advice to the portfolio. Both JMI Wealth director, Andrew Kelleher, and Devon Funds Management founder, Paul Glass, sit on the Tahito investment committee. In practice, Hall said the quality targets limit the Tahito portfolio to companies valued at least $600 million – albeit with some flexibility around the target. As well as Meridian, the Tahito current batch of top stocks includes Kathmandu, Stockland, Spark and Australian financial services firm, Perpetual. The Tahito portfolio, which holds 27 stocks (within a target range of 25-35) has been seeded with about $1 million. Interestingly, Hall said the investment strategy was more likely to attract mainstream clients rather than the burgeoning iwi market. For now the portfolio is directly-held rather than through a fund but he said Tahito would consider a unit trust structure if there was enough retail demand. Prior to launching Tahito, Hall – who has a 20-year career in asset management – headed the now-defunct IwiInvestor KiwiSaver scheme. Co-founder Winitana is a “writer, journalist, producer, creator and consultant”, according to a release. Tahito has a literal translation of ‘old’ but also refers to the era before Māori arrived in NZ, Hall said.